Annual comedy night “Laugh Die You” (笑死你) returns and is ready to tickle your funny bones once again, featuring some of the most talented and funniest comedians from around the region! 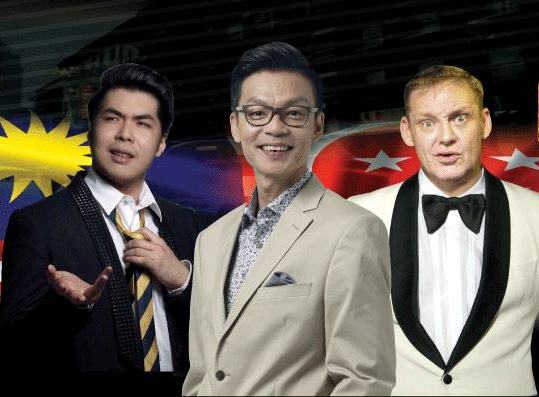 Taking place next year, the fourth installment of the comedy show is proud to re-welcome multi-talented Singaporean comedian Mark Lee and Asian wannabe Australian Jonathan Atherton, who previously performed at “Laugh Die You 2.5” and “Laugh Die You 2” respectively. Also, on the latest addition, Malaysian comedian Kuah Jen Han will be joining the two comedians to perform at the show for the first time. “What’s interesting about the Laugh Die You - The Mob is that it breaks up the usual pace of stand-up comedy shows as we (the hosts) will also be playing games with the audience. Plus we have many exciting gifts to give away,” said Kuah as quoted by New Straits Times. There will also be a special appearance from Malaysian singer Michael Leaner during the show. 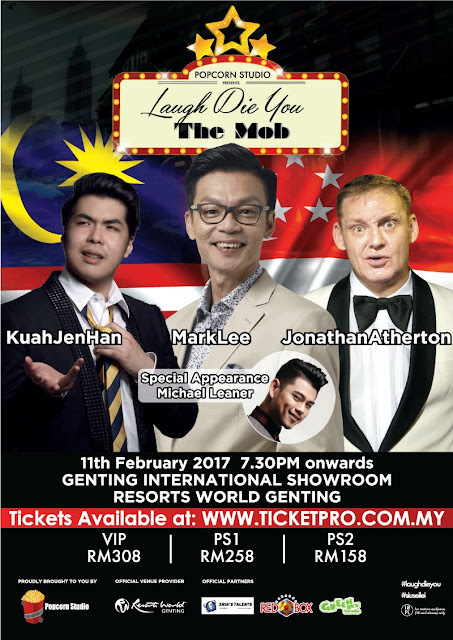 Happening at Genting International Showroom on 11 February 2017, tickets for “Laugh Die You – The Mob” will be sold at ticketpro.com.my and rwgenting.com, starting from RM162.